Here is a letter from the steering committee (sent on behalf of the SDC network) requesting that Rural Statistical Areas become a standard Census Bureau summary level geography. 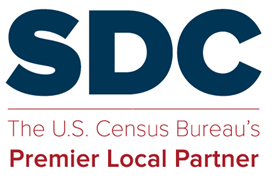 Most of you are likely aware of the research partnership between the SDCs and the Census Bureau to evaluate the use and utility of 1-year ACS data for rural areas. A logical outcome of the research was to request that rural statistical areas become a standard geography for tabulation of ACS 1 year data. Over the last month or so, the steering committee has solicited feedback from many of you to fine tune the request. We appreciate the input that you provided and the steering committee would also like to thank Len Gaines of the New York State Data Center for his leadership and efforts on this letter of request. Here is the response from the Census Bureau dated October 20, 2009. This entry was posted in Steering Committee.